Yana Stoyka is amazed at what the Holy Spirit did with her baptism. What is the power of one baptism? As a little girl, Yana Stoyka wanted to be baptized. But her parents said she was too young, so she put aside the idea for a while. When she was 13, she suddenly remembered her yearning to be baptized. She didn’t just remember the idea. A strong, irresistible desire filled her. “I want to be baptized!” she told herself. Yana started taking a six-month baptismal class at the Russian-speaking Seventh-day Adventist church that her family attended in Prague, the capital of the Czech Republic. She excitedly told relatives and friends about her plans to give her heart to Jesus. Olga, her 21-year-old adopted sister in Ukraine, heard the news and announced, “I want to be baptized, too!” Olga began taking baptismal classes in Ukraine and made plans to travel to Prague to be baptized on the same Sabbath as Yana. Yana was thrilled when her parents said Olga wanted to be baptized. Her decision to be baptized had encouraged Olga to be baptized, too. One baptism would become two baptisms. As the baptism day drew near, Yana invited relatives and friends to witness the ceremony at the church. She also invited her 17 ninth-grade classmates at the only Adventist school in Prague. The school principal marveled at Yana’s countenance as she spoke with her classmates, many of whom belong to other Christian denominations or do not go to church at all. Yana’s face was shining with joy. Finally the big Sabbath, Sept. 22, 2018, arrived. Relatives and friends packed the church to watch Yana and Olga get baptized. Yana was so happy. When she came out of the water, she felt a sense of freedom. Her dream had come true. Finally, she had been baptized. The pastor asked those watching who wanted to be baptized next time. Yana’s younger sister, Esther, immediately leaped to her feet and ran to the front of the church. Two teenage girls joined her. Yana was thrilled. 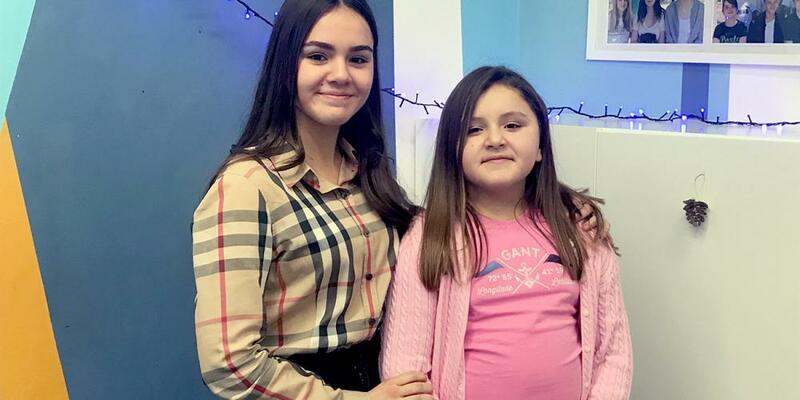 Her decision to be baptized had not only encouraged Olga to be baptized but also led three other girls to ask for special classes in preparation for baptism. Eight of Yana’s classmates watched the baptism, and they were amazed. Three of those classmates — two girls and one boy — decided that they also wanted to be baptized. They started taking baptismal classes. Yana was thrilled. Her decision to be baptized had not only encouraged Olga to be baptized and led three other girls to ask for baptismal classes. But it also had caused three of her classmates to take baptismal classes, too. Yana has an older sister named Diana, who is 21 and a university student in Ukraine. Diana traveled to Prague to watch the baptism. A month later, Diana was baptized in Ukraine. The Holy Spirit used Yana’s decision to be baptized to touch the hearts of eight other people. Two of them — Olga and Diana — have already been baptized, and six others currently are preparing for baptism. Part of the Thirteenth Sabbath Offering in first quarter 2020 will help fund programs for at-risk children in the Czech Republic. Thank you for planning a generous offering. ‘Great Controversy’ Transforms Filipino Family Without hesitation, she bought the book with resources that she did not have.